Prev In a Vase on a Monday: Oops-a-daisy! Oh, I’ve missed your blog lately Annette. So enjoyed waking to the mysterious Aunt Jessie immortalized by your sensitive images. 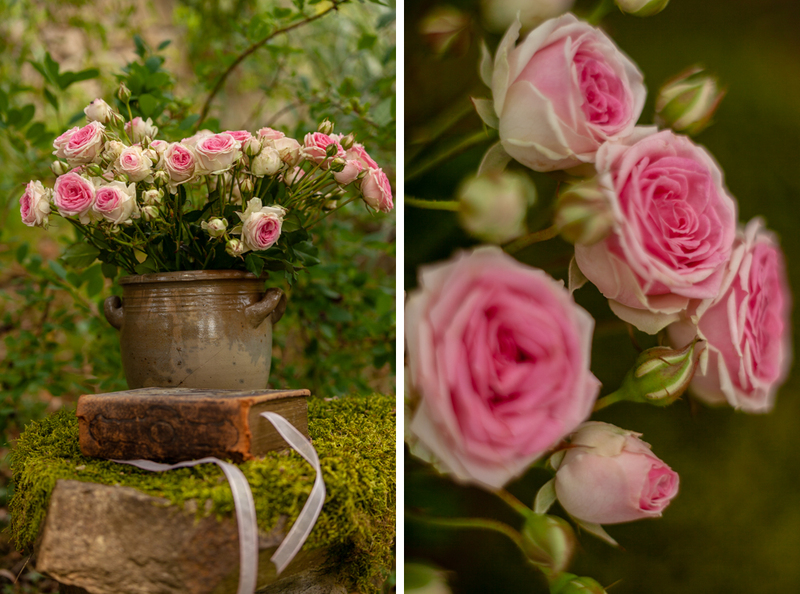 She surely would have loved your pink roses. May you rediscover your path to words and enjoy a peaceful balance. Happy summer. Beautiful, atmospheric shots. I agree that Aunt Jessie would have loved this post. I do think it’s farcical we all have to spend more of our time clicking to dismiss essentially meaningless banners and wonder if this had some impact on the decision to drop the Daily Post, which so many of us enjoyed. Thank you for your kind comment 🙂 yes, I’m sure it has an impact, we’re under ever more pressure and I sometimes wonder how long we can cope with this ‚terror’…thankfully we have our gardens! Peace and tranquility, time for contemplation, connect with your inner self, enjoy your life. The roses and your thoughts on Aunt Jessie are sweet. This was lovely. Glad to hear from you. Yes, trees are becoming an issue here too, although not on the same scale as yours. How intriguing about your book and the challenge you have set yourself doing it – are you willing to give us a clue about the contents? Your images are gorgeous! 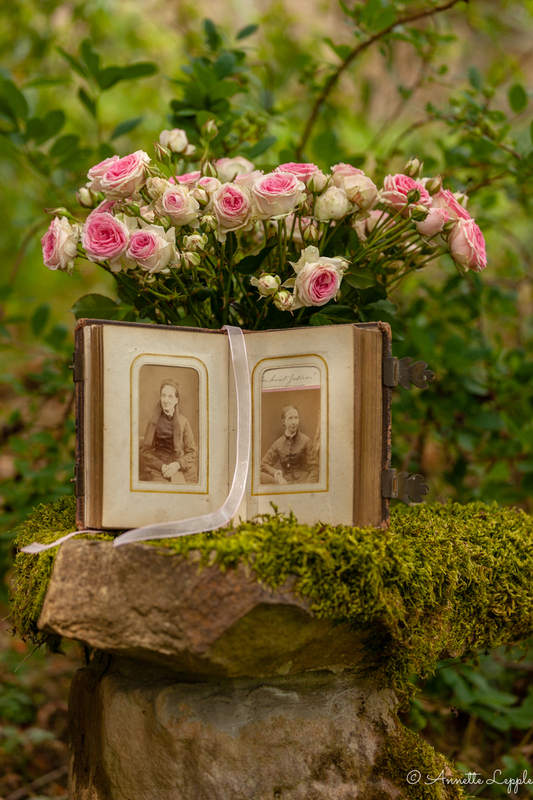 I love those sweet pink roses and they’re perfect with the old book of pictures. I’m sure that Aunt Jessie, whoever she was, would be pleased. Sometimes modern life does seem a little too fast-paced. 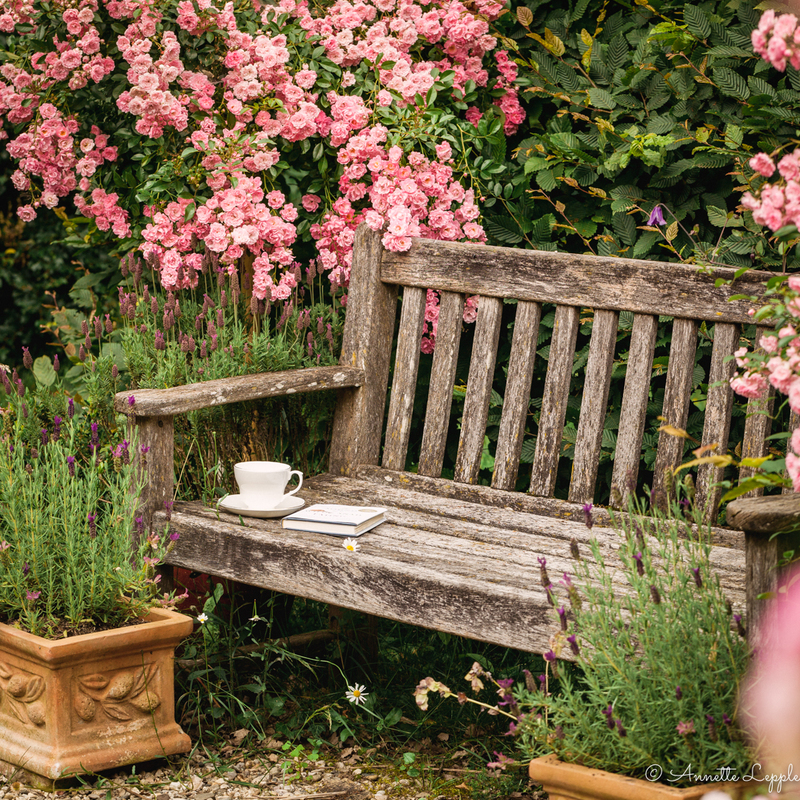 Thank goodness for our gardens where we can sometimes hide away for a few moments and dream of a slower pace. Thank you so much, Peter, glad you like them. Cheers to our gardens that save us from the madness of modern living! 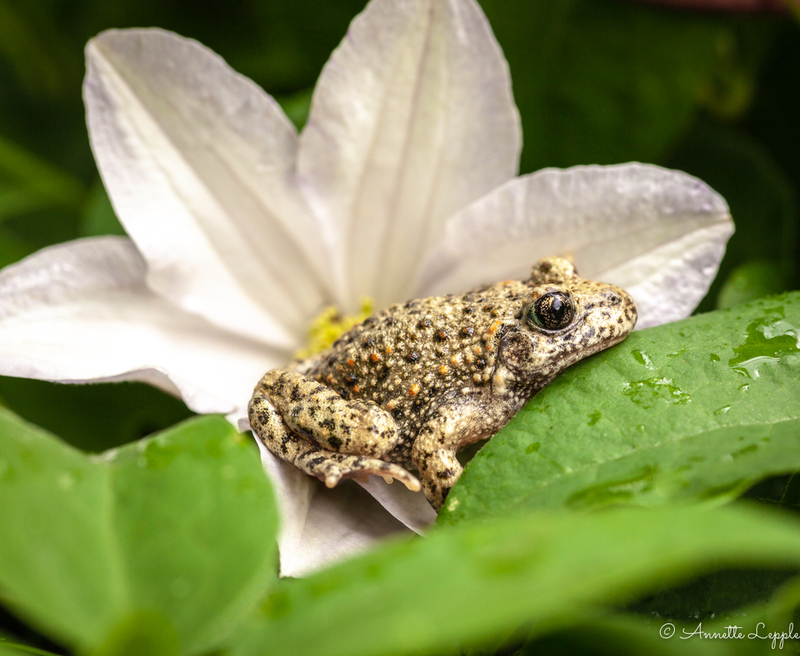 While that’s a truly lovely rose, my heart melted at the sight of the little frog. Frogs aren’t something one sees here very often. Sadly I’ve never seen one in my current garden, although I’ve more than my fare share of lizards, but I guess that just speaks to the dryness of my climate. 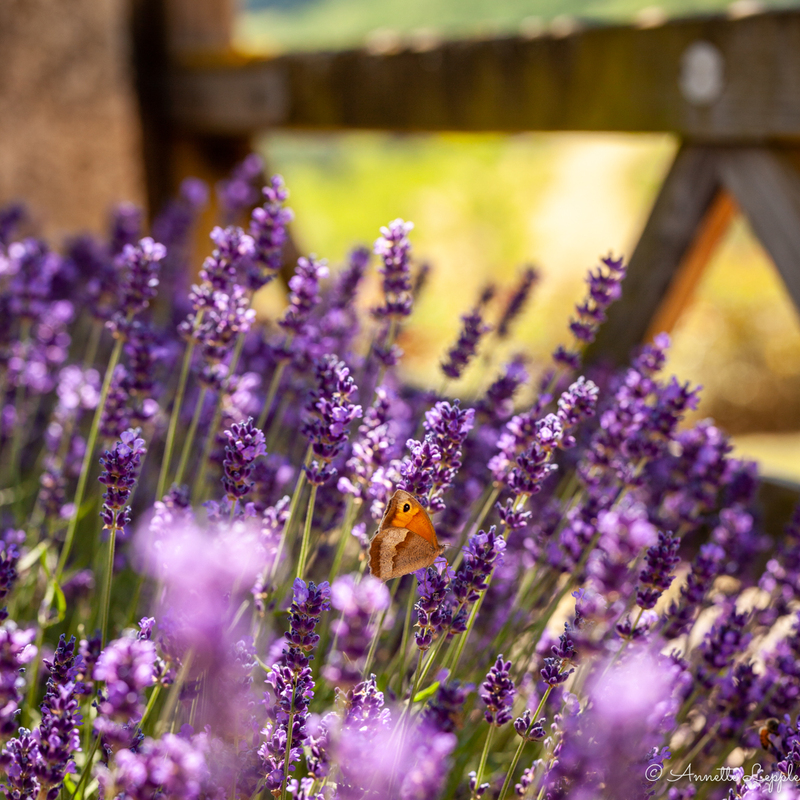 I can empathize with your words at the start of your post – world events provide a dismal start to most mornings but gardens and gardening do help! Best wishes with the new book and everything else. Thanks a lot, Kris, always nice to see you here. As I’ve mentioned on your blog the frog is a midwife toad. Plenty of lizards here too and the snakes are wandering about enjoying the summer. We have fire salamanders too but they keep low all summer and will be seen again with the first rains in September or so. Beautiful images and just look at that wee 🐸! Know what you mean about the abundance of words these days and how sometimes that can silence us. Liebe Annette, Deine Geschichte klingt spannend. Ich bin sehr, sehr neugierig was folgt nach Deiner Pause…. (hoffentlich bist Du aber bald zurück. Ich werde Dich vermissen. Meine Sommerpause ist Deinem Buch „Geniessen statt giessen“ gewidmet. Jedenfalls hoffe ich, endlich die Zeit dazu zu finden, denn wie Dich plagt auch mich der 24h Tackt…..Viel Glück zu Deiner neuen Arbeit. I shall miss your posts but completely understand why you are pulling back for the Summer. Enjoy and hope to catch your pictures from time to time. I hope you can relax and refresh and refocus, it’s so hard to get that done these days and of course summer moves along so quickly. What amazing photos. I’m always amazed by what you’ve created there! I know exactly how you feel Annette and am glad you wrote this post! Enjoy your break and good luck with the new book. We are so busy with our trees and shrubs in this relentless drought that I am also taking some time off from blogging. Happy summer! Pictures can do that, Annette. As do old guest books, like the one we inherited when we bought a previous house. Off you go, on a journey of wondering…. so beautiful roses and a splendid thought!